Finding and sharing content with your audience is a great way to engage with them. It also a great way to establish thought leadership, so that when they’re ready to make a purchase you’ll be one of the first ones they’ll turn to. In many ways, picking a topic is a lot like selecting a market for a product: It’s a matter of consumer demand for it, with you providing the supply. So how can you identify a winning topic area—one that will fulfill a need and for which there’s a demand? 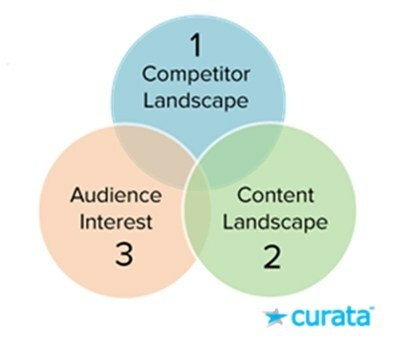 Let’s take a closer look at how to successfully select content curation topics. Begin with a general definition of the topic area. Then assess the competitive landscape to determine what others within it are doing. Consider how others present content on a topic that is related to your area of interest. Try to uncover curation opportunities, such as sites that focus on your topic only some of the time or sites that publish infrequently. Explore how you can add value by picking and sharing content relevant to your target audience. Can I curate better by producing a site that is more attractive and more relevant, or a site that offers greater depth to my target audience? Is there a better perspective or opposing point of view? Can I broaden or narrow the topic area? Revise your topic area in light of your answers—or decide to choose another topic altogether. 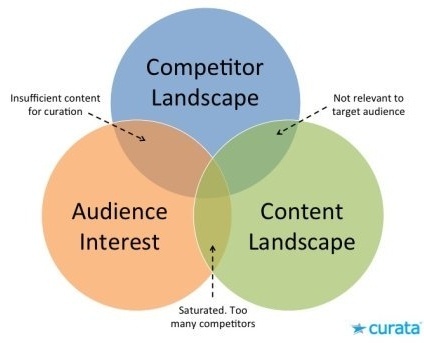 Keep in mind that content curation is designed to augment your own, originally developed content assets and to add alternative perspectives to your content marketing initiative. You are going to be organizing and summarizing third-party sources. As a successful curator, you must have multiple sources to curate. Check out Google news to see how often and how frequently articles on your prospective topic appear. Can you identify relevant sources publishing daily or weekly? Assess Twitter, Facebook, and LinkedIn for links to potential content sources. Review blogs that cover your topic either consistently or intermittently. With enough quality content, you should be able to find at least four articles per day that are worth sharing with your audience. If you’re able to hit this frequency benchmark without any trouble, you will know you have a viable topic for ongoing curation. As you continue your curation, you will discover new sources that expand your source list, giving you and your audience additional variety and perspective. Considering all that effort you’ll be expending as a curator, you’ll want to ensure that your target audience is going to be interested in your prospective topic: That topic area should capture and hold their attention. Of course, your expertise and familiarity with the marketplace is a starting point. Yet there are other ways to test and verify your assumptions. Google’s Keyword Planner is a simple way to assess audience interest. Although designed to help advertisers establish keyword search volumes, it can also easily track and measure the general level of interest in a given topic. Their answers, plus your own insights about the market, will help you focus on the right topic area to curate. However, you may need to begin with a topic that is not quite perfect, and then make adjustments.